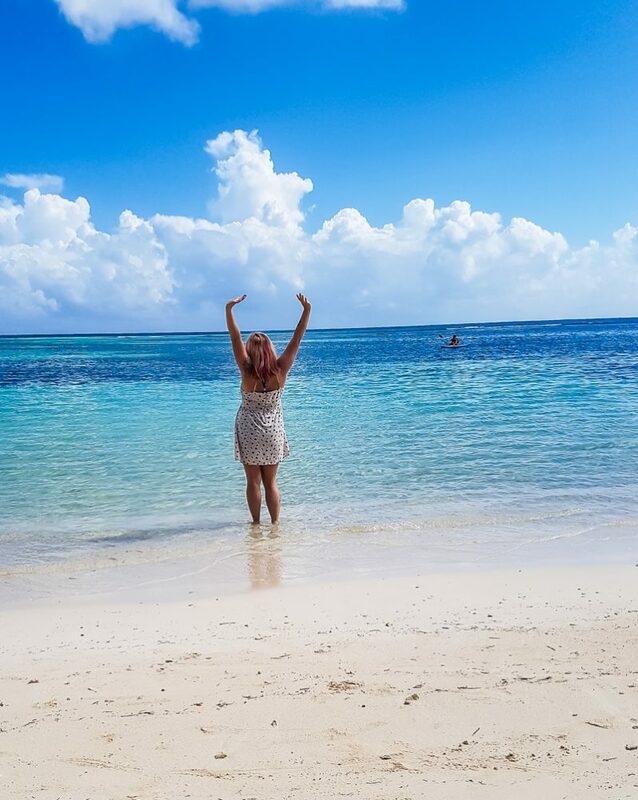 Does Working in Travel Mean You Travel More? I’ve just got back from an AMAZING trip to Mexico. It’s always been a country I’ve considered visiting, especially as HELLO FOOD, but when I headed out on the TrekAmerica Mexican BLT for just under two weeks this year, I had no idea how blown away I was going to be by it all. 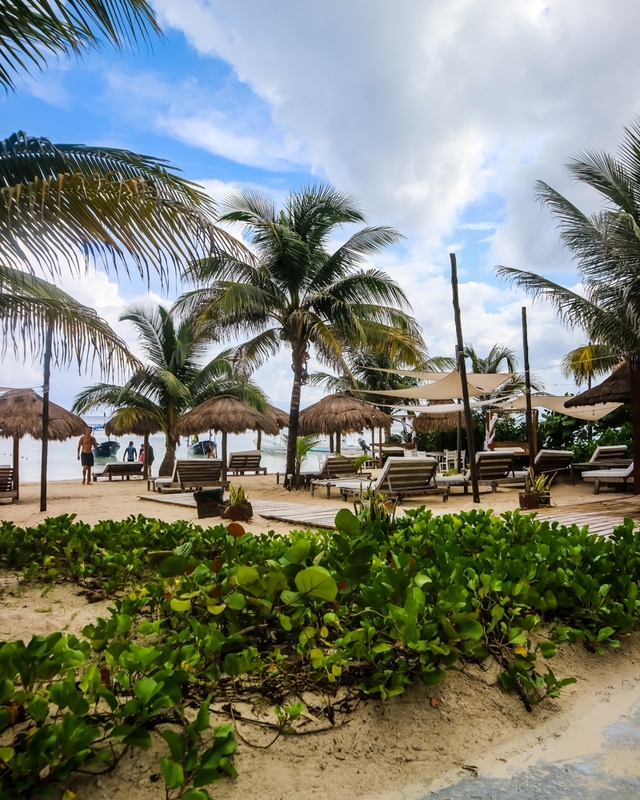 There were stunning colonial towns, beautiful beaches…and some absolutely incredible Mayan ruin sites. We visited four in total, and they really were something special. Although you can visit these sites and nosey around independently, for three out of four we hired a local guide and it’s something I’d definitely advise. It’s usually around 100 Mexican pesos, which is about £4, and well worth it for the amount they’re able to tell you. 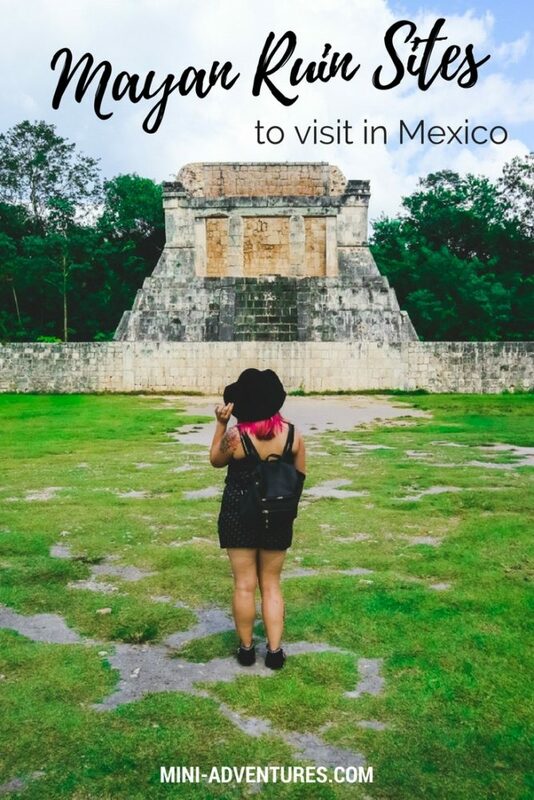 Here are the four Mayan ruins in Mexico we visited – find out which was my favourite too! One of the largest Mayan cities, and easily the best-known of the Mayan ruins in Mexico, particularly in the Yucatan. With this comes…lots and lots of visitors. It was already buzzing when we arrived, but thanks to the open layout of the site, it was actually pretty easy to get around without finding ourselves stuck in huge crowds. At the centre, you’ll find El Castillo, a large step pyramid and the most-photographed element of Chichen Itza. Our guide for the day gave us some fascinating insights into how advanced the Mayans were when building their cities. The way in which the structure was built is fascinating, as a lot of it relates to the Mayan calendar, months of the year, and movements of the sun. During spring and autumn equinoxes, the light hits the pyramid in a certain spot that creates an illusion of a serpent snaking its way down the corners. 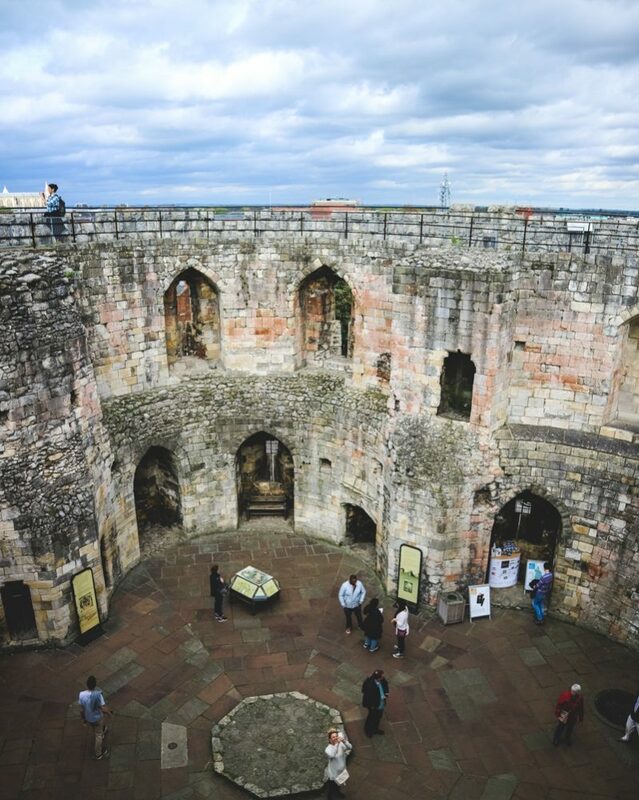 As well as El Castillo, there’s also an old ball court, where you’ll find intricate carvings on the walls, and if you clap your hands in the right spot, you’ll hear the sound echoed back to you loudly. Although a busy one, Chichen Itza well worth a visit for its notoriety and interesting stories. This one was actually my favourite from all the Mayan ruins we visited on our Mexico tour. For starters, it was a lot quieter than Chichen Itza, and felt much more peaceful and spiritual. 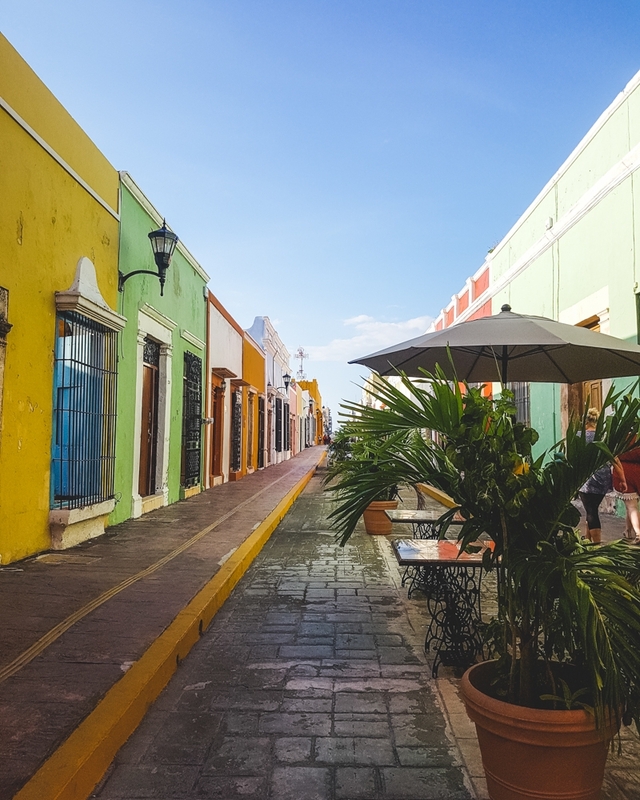 It’s about an hour and 15 minutes drive from the city of Merida, but definitely feels like it’s a world away from the city buzz. One of the first buildings that comes into view is the awesomely-named Pyramid of the Magician. The name ‘Uxmal’ comes from ‘Oxmal’, which means ‘three times built’ – and underneath the current façade of the Pyramid of the Magician lie two smaller pyramids. The Mayan God of Rain, Chac, features heavily across the site’s architecture, due to the site’s lack of natural water supplies. The Govenor’s Palace features 103 stone masks of Chac…maybe London could lend them some rain? The Mayan ruin site of Palenque is pretty huge. And it’s also surrounded by dense jungle, which makes you feel a bit Indiana Jones/Lara Croft-y when you’re there. 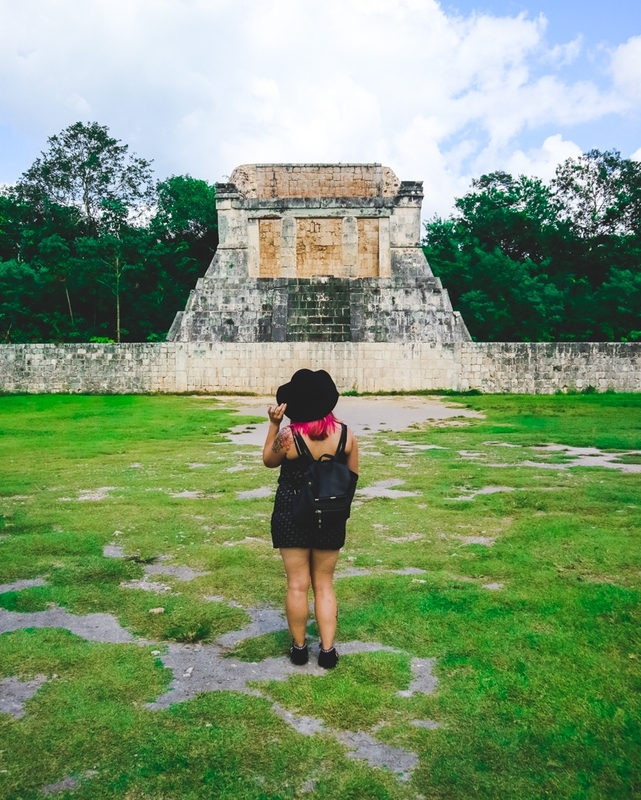 Like in Uxmal, we were able to get a bit closer to some of the ruin buildings and make our way inside the Tomb of the Red Queen and explore the Palace. Inside the former, you can actually see the sacarcophus itself – although the skeleton of the ‘Red Queen’ herself has been removed and re-buried elsewhere. Inside the palace, we perched on the courtyard steps reserved for VIPs to experience public events and visits. Even only being able to scratch the surface of the building, it’s giant and maze-like structure is probably one of the most complex Mayan ruins in Mexico. Unfortunately, my holiday stomach decided it couldn’t take any more and I had to go and sit down in the shade for a while, but there’s SO much to Palenque to explore, you could easily spend hours finding your way around. What’s extra fascinating is there are many more buildings still hidden away in dense jungle, so the site could be far, far bigger than you see on a visit to Palenque. 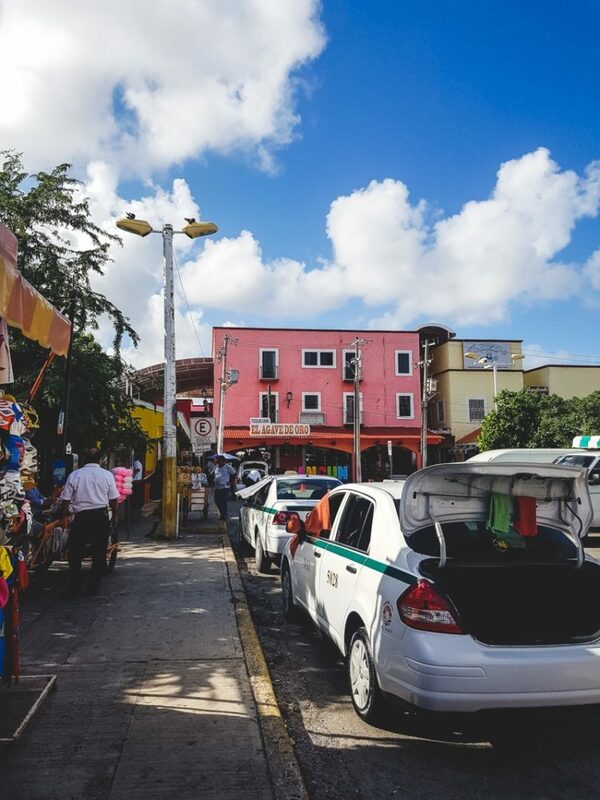 The site of Tulum felt super crowded – unlike the other Mayan ruins in Mexico I experienced where you’re free to roam, there are very set pathways to walk along. Add that to plenty of visitors taking selfies, and you’ve got a LOT of people squashed into quite small spaces. Which is why, sadly, this was probably the least favourite of the Mayan ruin sites I visited. Having said that, it’s a unique spot and quite different compared to the other sites visited. Mainly as it’s right on the coast, overlooking the Caribbean Sea. If the weather’s good, visitors can head down to a small beach area and look up at the ruins from below, to get a whole other perspective. Mayan ruins in Mexico – Pin it for later!